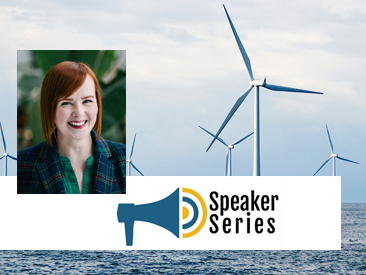 NEIA’s Speaker Series features experts and decision-makers in Newfoundland and Labrador’s green economy sharing, in an intimate setting, their experiences and points of view with interested firms and individuals. Participants are given the opportunity to meet industry experts and network with professionals who have similar interests. 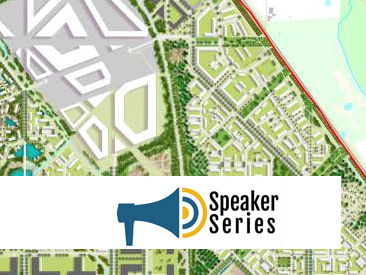 At the same time, speakers are able to present to and interact directly with environmental sector stakeholders. On October 23rd, 2018 the provincial government released its “Federally-approved made-in-Newfoundland and Labrador” approach to carbon pricing. 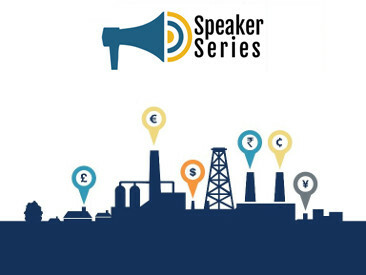 Join us on November 27th to learn, directly from Government officials, how the carbon pricing system is designed and how it will impact industry in Newfoundland and Labrador. Sharp Management Inc., through the quantification, verification and certification of existing engineered wetlands to treat sewage wastewater in the towns of Stephenville and Appleton / Glenwood, has acquired certification of 55,071 carbon credits from offsetting emissions of similar tonnes of CO2, on these projects. 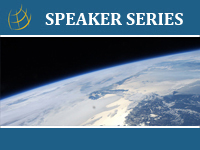 Join Glenn Sharp P.Eng on April 27 to learn all about carbon credits, what they could mean for your firm, and how the purchasing process works. To inform its future activities, NEIA engaged Stapleton Environmental Consulting to produce a high-level report that (1) identified the supply chain in offshore wind energy development, and (2) compared that to existing capacity within Newfoundland and Labrador to provide products and services to such an industry. This Speaker Series event is the first presentation of this report. 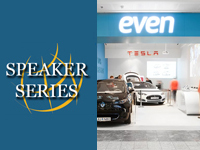 Come to our Speaker Series on May 17 to learn how a Newfoundland and Labrador firm is helping to create a new disruptive business model for vehicle distribution to meet the changing needs of the global market. NL Hydraulic Fracturing Review Panel Presents its Findings to NEIA members. 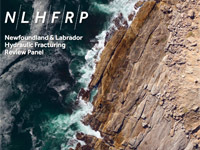 An independent Panel was appointed in October 2014 to conduct a public review of the socio-economic and environmental implications of hydraulic fracturing in Western Newfoundland. The Panel has completed its work. 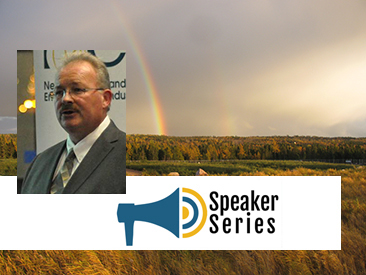 Join its Chair Dr. Ray Gosine and member Dr. Wade Locke as they present their findings to NEIA members. The program provides up to $50,000 in co-funding for monitoring technology innovation and supports commercialization efforts. 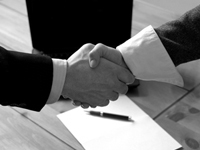 The Government of Canada purchases between $15-$20 billion of goods and services each year. 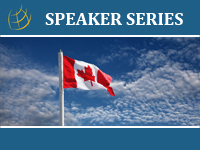 This seminar provides key information about how to sell to the Government of Canada that will help you learn how to understand the contracting process, register in supplier databases, and build networks and promote your business. 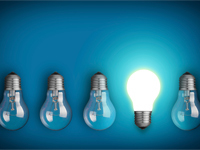 If you want your business to be successful, Intellectual Property (IP) matters. Every business has one form or another of intellectual property (IP) – it can be a company’s most valuable asset. Come learn about trade secrets, patents, trademarks, copyrights and industrial designs and how these intangible assets can be used strategically to open doors nationally and internationally. Business and organizations do not operate in a vacuum. Their relationship to the society and environment in which they operate is a critical factor in their ability to continue to operate effectively. It is also increasingly being used as a measure of their overall performance. ISO 26000 provides guidance on how businesses and organizations can operate in a socially responsible way. ISO 14001 Environmental Management Systems, one of ISO’s most widely used standards, has recently been revised. 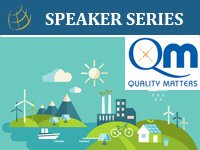 This information session will provide a high level overview of the requirements of the new ISO 14001:2015 Quality Management Standard, and about how the upcoming revision could affect existing environmental management systems. Participants will also learn about the benefits of participating in a full ISO 14001:2015 Transition workshop. 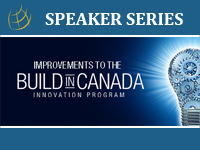 DND invites environmental consultants, remediation contractors, and other interested parties to attend the NEIA Luncheon to be updated on the status of the GBRP, future contracting opportunities, and how to secure work with Defence Construction Canada (DCC) / Department of National Defence (DND). 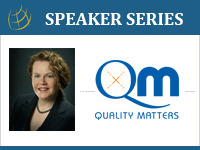 Join Karen Noftall, President of Quality Matters, for an overview of Integrated Management System (IMS) and what it means for your firm. The session is free and a light lunch will be served. An IMS is a single integrated system used by an organisation to manage the totality of its processes, in order to meet the organisation’s objectives and equitably satisfy the stakeholders. 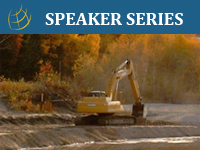 This session will outline the key components of an Occupational Health & Safety Management system, coupled with an explanation of how a systemized program can reduce workplace hazards and boost employee morale. 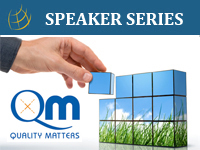 This session will outline the key components of a quality management system, coupled with an explanation of how a systemized quality program can save money, increase profit, win more business, and satisfy more customers in the process. 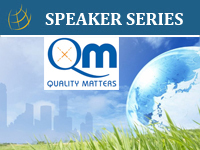 This session will outline the key components of an environmental management system, coupled with an explanation of how a systemized environmental program will provide better controls, consistency and cost savings to your organization through systems management of your environmental aspects. 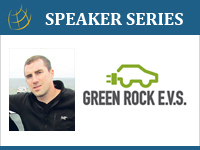 Our free Speaker Series luncheon on October 29th features John Gordon, President and CEO of Green Rock E.V.S. John’s company is taking a leadership role in establishing public electric vehicle charging station infrastructure in Newfoundland and Labrador. Green Rock E.V.S. is also implementing fleet programs that have been tried and proven worldwide – and bringing them home. The Scientific Research and Experimental Development (SR&ED) Program is a federal tax incentive program, administered by the CRA, that encourages Canadian businesses of all sizes, and in all sectors to conduct R&D in Canada. It is the largest single source of federal government support for industrial R&D. 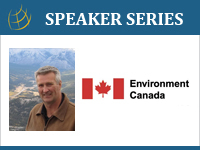 Join NEIA and Environment Canada’s Gerard Chisholm to explore two topics on January 14, 2014: “Amending the Environmental Emergency Regulations” & “Recent Changes to Environment Canada’s Environmental Emergencies Program”. Interested in making your business more energy efficient? Our Business Efficiency Program and rebates will help you get money back and save over the long term. takeCHARGE has many options for all sizes and types of businesses. 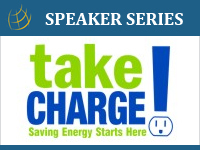 Join us for practical tips on how to save energy and money, and to see how takeCHARGE can help pay for energy efficiency improvements. NOVEMBER 19 – Are you a business seeking to work with other businesses to reduce transportation or waste management costs? Are you a self-employed environmental practitioner who would benefit from collaborations with practitioners and the legal protections of incorporation? Are you a student considering an entrepreneurial venture with others? The Co-operative business model may work for you. 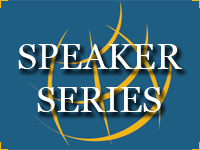 SPEAKER SERIES: Running a “Sustainable” Business – how it can impact your bottom-line and brand positioning. 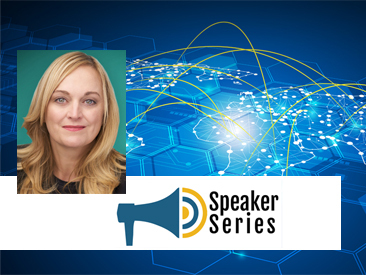 Join LEAF Accredited Consultant Michelle Marley of Terra Sustainability Consulting Inc. for a the latest in NEIA’s Speaker Series. This session will explore sustainable business strategies designed to help your company reduce its operating impacts on the environment while saving money and improving brand profile. Real-world business examples from a variety of industries including hotel and lodging, food services, and retail will be examined. Businesses in the environmental sector have the opportunity to increase their outputs, acquire energy and expertise in specific operational areas, and build connections within the university community by employing a co-op student for a semester. Why hire a co-op student? What kind of impact can a student make on your Business? What areas of study/expertise can you choose your student from? What will your student’s objectives be? What is your expected contribution to the partnership? 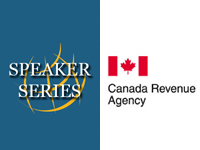 NEIA’s Speaker Series events are free-of-charge, and are typically held at noon, in NEIA’s board room, with a light lunch provided. 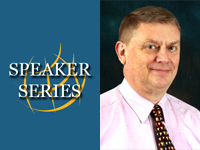 Would you like to be a presenter at a Speaker Series? Or do you have an idea or topic you would like NEIA to explore? Please contact us with your ideas.